It may not be quite as dramatic as Taylor Swift and Katy Perry burying the hatchet, but for Swift fans, it is likely to be a huge deal. As of midnight Friday, all of the pop star’s music is now available on every streaming service, including Spotify. In messages posted on Thursday night to Twitter and Instagram, Swift’s management company said the return to streaming was a gift to her loyal fans, in honor of her album selling 10 million copies. I tried it and I didn’t like the way it felt. I think there should be an inherent value placed on art. I didn’t see that happening, perception-wise, when I put my music on Spotify. Losing Swift was a major blow to Spotify because she was not only one of the biggest pop stars in the world, but her album 1989 had just been released and looked to be a massive hit. The company tried to win her back with a specially curated playlist designed to send her a message, but to no avail. The following year, Swift lashed out at Apple as well, after the consumer electronics giant launched its new Apple Music streaming service with a three-month free trial, and told artists that they wouldn’t receive any royalties for those three months. “Three months is a long time to ask people to go unpaid, and it is unfair to ask anyone to work for nothing,” the artist wrote in an open letter to Apple. “We don’t ask you for free iPhones. Please don’t ask us to provide you with our music for no compensation.” Apple quickly changed its policy. So why has Swift decided to put her music back on streaming services now? There are a few possible reasons, and one of the major ones is that Spotify changed the way it handles new releases. In April, the streaming service signed a deal with Universal Music Group, one of the largest of the global record labels, which would allow the label’s artists (including Swift) to restrict their new albums and songs to paying subscribers for two weeks. As the lack of this kind of “windowing” approach was one of the things that led to Swift leaving Spotify in the first place, the announcement sparked speculation that she might return to the service once it was introduced. 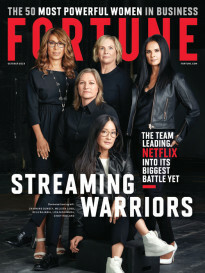 Streaming services have also grown to the point where consulting firm PricewaterhouseCoopers says it expects revenue from streaming to eclipse sales of both CDs and traditional records for the first time this year. Meanwhile, some music fans and industry insiders are whispering about another potential reason why Swift might have chosen to return her music to Spotify and other streaming services now: her long-running feud with fellow pop star Katy Perry. The two have been taking thinly veiled musical potshots at each other since 2014. Perry’s new album was just released on Friday, leading some to speculate that Swift timed her return to streaming services in such a way as to steal the spotlight from her musical nemesis. Whatever the rationale, the detente between Swift and the major streaming services seems likely to even further inflate the already massive marketing machine that is Taylor Swift. 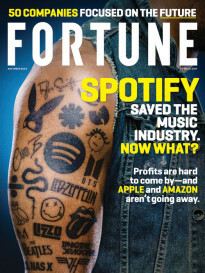 And for Spotify in particular, it provides a much-needed boost, as the company prepares for a potential stock offering that some analysts expect to hit the market later this year.